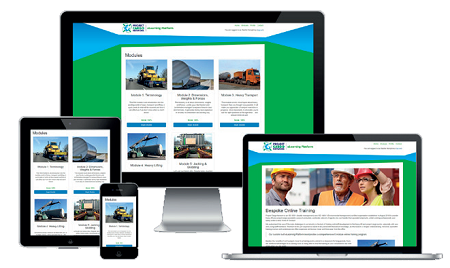 Project Cargo Network Ltd has invested in both professional training from an industry expert and a new bespoke eLearning Platform to provide their Members with a comprehensive online training program at pcntraining.com. The clear and highly effective video based training includes narration, graphs, diagrams, video footage and photographs. When completed, the user will understand the practical, operational and engineering aspects of heavy transport and lifting projects. The training is ideal for staff who are at the beginning of their career in heavy transport, offering employers a time saving and low-cost alternative to workshops and seminars. However, as the training is comprehensive, senior level professionals will also benefit from the practical, scenario and video based course as it will encourage reflection on current practices. Each registered user receives a personal log-in so that they can train at their own pace and track their advancement through each module via a progress bar with a certificate awarded upon completion of the course. For more details visit pcntraining.com.